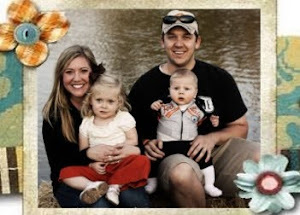 The Arbuckle Family Blog: Are you feeling crafty? I have this secret desire to be crafty. I have friends who can do amazing "crafts". They are so creative and come up with the cutest things. 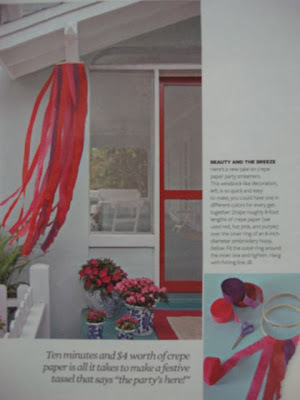 Since I am getting ready for Kate's Party this weekend, my aunt Colleen sent me this cute article from Better Homes and Gardens. I am going to attempt to make these for Kate's party. I think they will be easy enough for me to handle. I have posted the picture here and the directions below. Drape 8 foot lengths of crepe paper over the inner ring of an 8 inch diameter embroidery hoop. Fit outer ring around the inner one and tighten. ps.. I only made it 25 days straight posting blogs, I forgot to pre-post this weekend (which is what I usually do.) My sweet husband is giving me a little grace since it was the weekend. Hopefully I'll get my blog makeover next week!